The Board’s of Directors of Misen Energy AB (publ) and Misen Enterprises AB each comprise the same members. Dr. Smaliukas is Partner at Valiunas Ellex, the leading Pan - Baltic law firm. He works in energy and infrastructure sectors and serves as an arbitrator and counsel at numerous international arbitration proceedings. Dr. Smaliukas also has extensive corporate governance experience including experience serving as a board member and advising the board on corporate governance and legal compliance issues. Member of Permanent Court of Arbitration at the Hague, appointed by the Government of the Republic of Lithuania. Dr. Smaliukas holds Ph.D. and Master of Laws degrees of Vilnius University. He did postgraduate research at Oxford University and completed executive education programs at University of Cambridge Judge Business School and Harvard Law School. Independence: independent in relation to the company and the company´s management, and in relation to major shareholders. 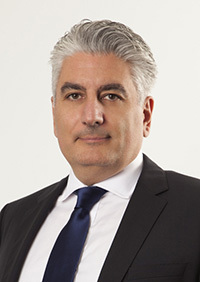 Mr. Dimitriadis is a founding member and managing partner of DD Partners AG. DD Partners AG is a Zürich (Switzerland) based globally acting office offering broad wealth structuring and managing consulting services for international companies and individuals. He acts as a senior fund manager of several special opportunities funds. Prior to DD Partners AG, Mr. Dimitriadis worked for more than 15 years at various Swiss financial institutions. He shared responsibility for asset allocations and investment activities as a member of the management in mutual funds and major single portfolios. Furthermore he acted as a leading negotiation and contracting partner for financial services partners. His experience includes international relationship management of HNWI customers. Chairman of Innomedis, a global medical device company. Dimitrios Dimitriadis holds a degree in economics of the University of Zürich and AZEK, Swiss Training Centre for Investment Professionals. His earlier studies contain a Swiss federal degree in dental laboratory technique. Independence: independent in relation to the company and the company´s management, non-independent in relation to major shareholders (Nellston Holdings Ltd.). 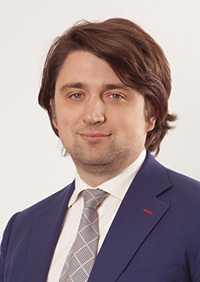 Oleg Batyuk is the Managing Partner of the Dentons (formerly Salans) Kyiv office and the Head of Corporate Practice in Ukraine. In 2011 Oleg was elected and in 2013 re-elected for a two year term to serve as a member of the Board of Dentons Europe, the part of Dentons comprising France, Germany, Spain, Turkey, CEE and CIS countries. 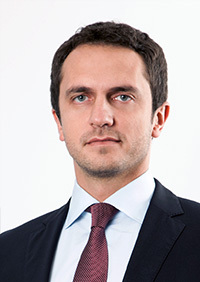 In 2012-2015 Oleg served as a member of the Dentons’ Global Council. Since August 2016 Oleg has been serving as a member of the Supervisory Council of PJSC State Export-Import Bank of Ukraine (Ukreximbank). Mr. Batyuk has substantial experience in advising international and domestic clients on foreign investments in Ukraine, joint ventures, loan arrangements, banking regulations and transactions on international capital markets. Mr. Batyuk has advised major international companies and financial institutions on key infrastructure projects in Ukraine. He has been engaged as an expert witness on Ukrainian legal matters in several high-profile litigation and arbitration proceedings in England, USA, Canada and Sweden. 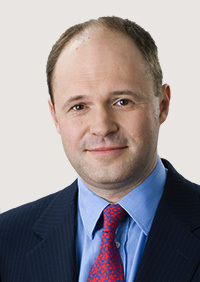 Oleg Batyuk graduated from the Centre for Commercial Law Studies, Queen Mary and Westfield College, University of London (1992). His earlier studies contain Candidate of Science degree in Law (1988) and degree in Law from Taras Shevchenko National University of Kyiv (1985). Mr. Prysiazhniuk is a founder and managing partner of AIM Group a financial and operational advisory consulting firm based in Ukraine. The company provides full range of financial advisory and capital markets services, advisory on alternative and individual investments for companies based in Ukraine and CEE. Prior to this appointment he served as Strategy and Business development director in leading Ukrainian Investment firm Concorde Capital. Mr. Prysiazhniuk previous experience include more than 12 years with international corporations such as Siemens AG, NSN and Microsoft where he held an executive position in strategy, corporate finance and sales. Pavel Prysiazhniuk holds a Master of Science in electronics at the National Technical University of Ukraine and diplomas from special corporate programs in finance and business administration. Independence: non-independent in relation to the company (provides consultancy services), independent to the company´s management, and independent in relation to major shareholders.